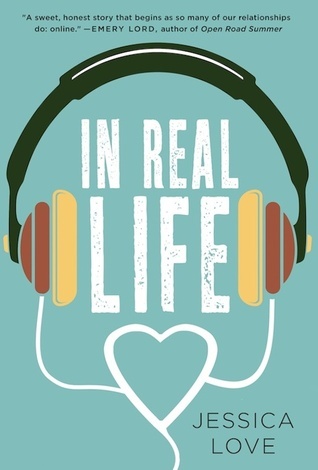 Hello and welcome to my blog tour stop for IN REAL LIFE by Jessica Love! Today I have a lot of content to share with you including my review, an interview with the author, a playlist to listen to while you read along, and a US/Canada giveaway for a finished copy of the book! Phew, that's a lot! I highly enjoyed this one. It was a light, fun contemporary about learning who you are. I liked that both Hannah and Nick hid behind masks of their own making, even if they both didn't really realize it. I think this book had a lot more to it than just a road trip to meet someone in real life; there was so much introspection about what you can get out of life by just living it and I loved it. I liked all the characters and the choices that they made -- even if I didn't necessarily agree with all of them. I really liked that Grace and Lo weren't just sounding boards for Hannah and had their own arcs and adventures. But I also really liked that Hannah called them out on their actions for ditching her to have their own fun when she needed them. I thought that conversation between Lo and Hannah was really important because they both had different opinions on the same subject but could understand where the other was coming from. Sometimes you have to realize that your friends need you to be there for them, but sometimes you have to realize that they can't just put their life on hold until you figure out what you want to do. I thought Hannah and Grace had a really good sister dynamic as well: they both challenged each other to be better versions of themselves. And Grace didn't try to "Mother" Hannah, just like Hannah didn't try to "Mother" Grace. They both made decisions and supported each other in those decisions, even if they wanted something else for the other. I liked that Hannah was almost walking on edge for Grace to help her heal her broken heart while Grace wanted Hannah to try new things, but didn't push her farther than she knew she wanted to go. They were about supporting one another, not about competing with one another. I also really liked that Hannah owned up to her mistakes and tried new things. A lot of us are just like Hannah -- we are constantly in limbo: waiting for this next thing to happen before we start to do something, but always adding that next thing so we never end up doing anything. It's a hard place to be. I am glad that Hannah came to some conclusions and realizations herself about the way she wanted her life to be but that she also asked for advice. The future is not a place you want to be by yourself. I do highly recommend this one. It has some fun adventures while also making you really think about the future and what you want out of it. This is a great YA novel that I think will leave a lasting impact once you read it. Thank you so much to Jessica Love for taking the time to answer my questions about her book! It was a pleasure to host her and her novel on Books and Ladders today. 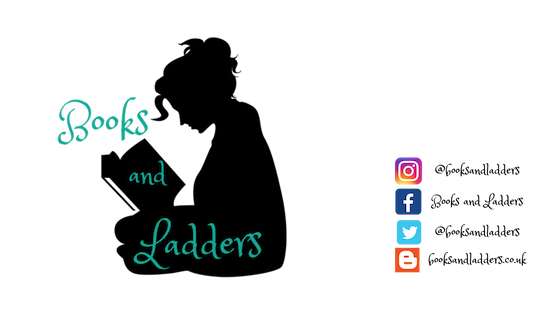 Books and Ladders: Describe IN REAL LIFE in 10 words or less. Jessica Love: Internet friends meet for real in Las Vegas, antics ensue. B&L: What do you hope reader's take from IN REAL LIFE? JL: Oh gosh...what a tough question. That going out of your comfort zone is scary but it’s worth it. That it’s healthy to call your bff out on their crap. That the girl dating the guy you like doesn’t have to be your enemy. That Asian girls can be the star of a romance. B&L: What was the easiest scene to write in IN REAL LIFE? JL: The last thing my editor asked me to do was add a scene in the book of Nick and Hannah just having fun together and doing something Vegas-y. So there’s a scene in there where they crash a Vegas wedding. It’s the last scene that I wrote for the book and by that time I knew Nick and Hannah so well, and they just so deserved a little break from their drama to have fun together, so that scene was a blast to write and it came so easily. B&L: What's the longest road trip you've ever been on? JL: I haven’t taken too many long road trips, actually. I have a few on my bucket list, so hopefully I’ll get to them some day! The longest is when my family used to drive from our home in Southern California up to Lake Tahoe in Northern California. It’s about an 8 hour drive, and we would wake up super early in the morning to get there in the early afternoon. My brother and I would play all kinds of road trip games in the back seat, and my dad would play the special tapes he made just for our drives. I have fond memories of those road trips. B&L: Is IN REAL LIFE inspired by any real life events? JL: I was inspired to write the story after watching a reality show that featured long-time friends who had never met meeting for the first time on the show. I loved the concept, and IN REAL LIFE was born from there. There are quite a few situations in the book that are taken straight from my own real life. The situation with Nick and Hannah’s first meeting that goes horribly wrong is based on something that happened to me. One of the really cool things I have for you as part of this post is a Spotify playlist! Listen to this while you read the book for the ultimate IN REAL LIFE experience! One (1) winner will receive a finished copy of IN REAL LIFE by Jessica Love courtesy of St. Martin's Press. US/Canada only. See Terms & Conditions for details. All my friends in real life are also online friends but I do have some online friends I haven't met. definitely looking forward to reading this book!! Oh my gosh! I definitely need to check this book out! I'm closer to my online friend! So much so, I'm planning on moving up there. I think I'm closer to my IRL friends, but I'm definitely looking to have more internet friends as well!